NVIDIA made a pretty big change in its GeForce EULA recently and this is something that could go on to cost a lot of entities an aggregate of millions if not billions of dollars in the long run. The company recently updated their EULA which now prohibits datacenter deployment of their GeForce GPUs for everything but blockchain processing. Needless to say, this would force a shift to Quadro and Tesla’s in any datacenters that were actually using GeForce cards or had planned to. While there was no explicit restriction against using GeForce graphics cards in datacenters before, this was before deep learning took off in recent past. Previously, the company has always offered consumer variants in crippled form as far as double precision goes but now, with the advent of DNN processing, that is no longer as relevant as it once was. In fact, half precision is the name of the game now and NVIDIA GPUs are extremely good at deep neural net crunching and the consumer variants offer a much higher return on investment in CuDNN then the professional variants. “No Datacenter Deployment. The SOFTWARE is not licensed for datacenter deployment, except that blockchain processing in a datacenter is permitted.” -Extract from the EULA. I wouldn’t even be surprised to learn that there are (were?) data centers being built right now which initially planned to use GeForce cards (prompting this subtle backlash from NVIDIA) for the majority of processing. It is clear that NVIDIA feels that it has spent a lot of R&D on the DNN tech involved and if the industrial customers don’t actually pay the premium, it will cut into its profits. 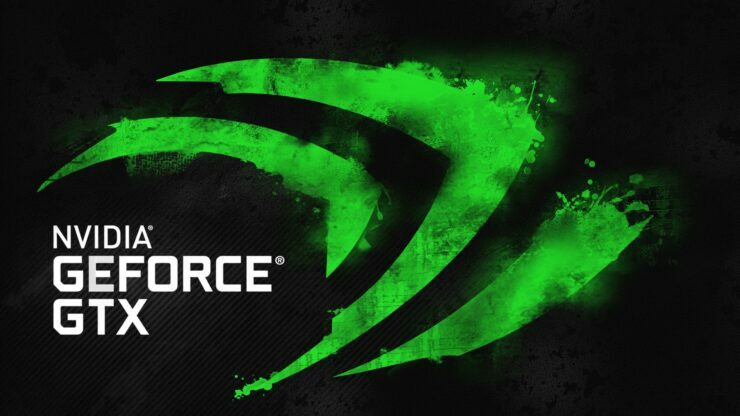 It is also clear that increasing prices of the GeForce cards is not an option if it wants to remain competitive and still retain its hold over the PC market. The solution? restrict datacenters from using their GeForce cards for any kind of processing, forcing them to use Teslas and Quadros for DNN work. Interestingly however, blockchain processing is still allowed. There could be multiple reasons why this is the case but it almost certainly has to do with the fact that the company hasn’t actually spent a cent in R&D as far as blockchain processing goes, so any ‘datacenters’ that want to utilize GeForce for mining represent an additional boost to income at no cost. Similarly with the exception of middle end GPUs like the GP106, which are plentiful, most of its lineup isn’t exactly ideal for mining (you would want a Vega for that) so they really aren’t under threat of loosing precious supply to mining. In any case, it appears that NVIDIA is treating blockchain mining ‘processing’ as a win-win scenario right now. Any datacenter that violates this EULA could potentially face lawsuits from the company. As I am sure there exists datacenters right now which are using GeForce cards, they would probably be forced into a corner and be forced to upgrade on legal gunpoint to Quadro and Tesla variants. Needless to say, its going to cost a lot of entities a lot of dough to adjust to this change in EULA. This also includes the newly released TITAN V, which now limits it to a very niche market of developers who are probably working on POCs and doing preliminary testing before large scale deployment. It is also unclear whether DNN processing clusters in universities and institutions fall under the definition of Datacenters.